Not a rare species but not previously offered by WWB. 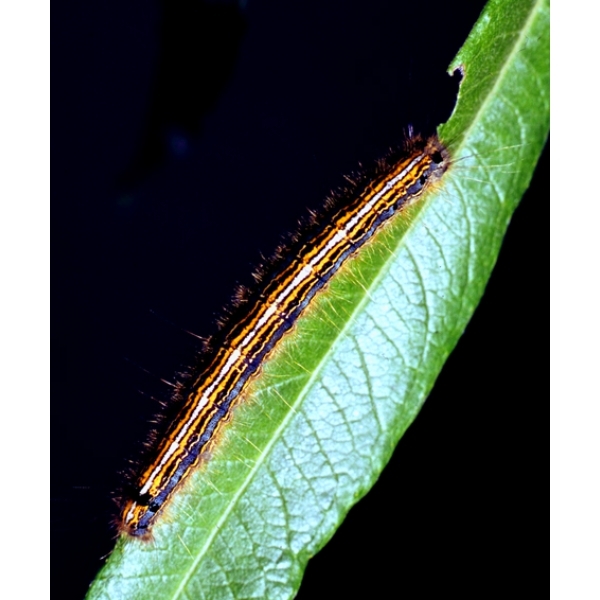 Although considered common, the Lackey Moth is found much more rarely than 20 years ago and it is one that can be encouraged so easily. 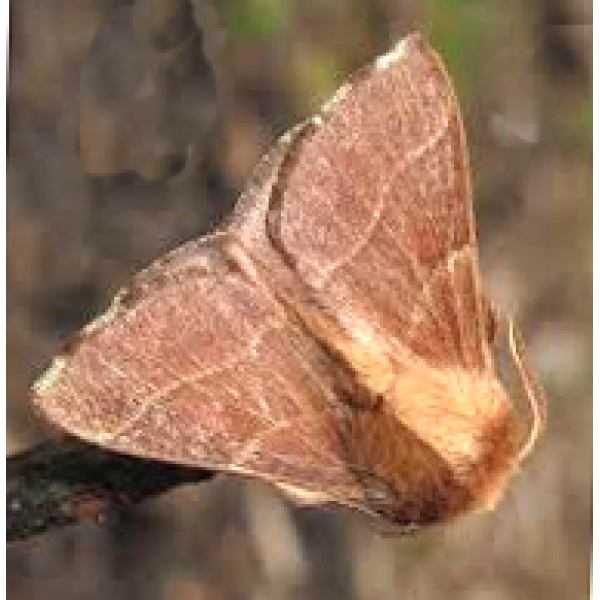 The overwintering eggs are laid in tight bands on the bark of the foodplant. 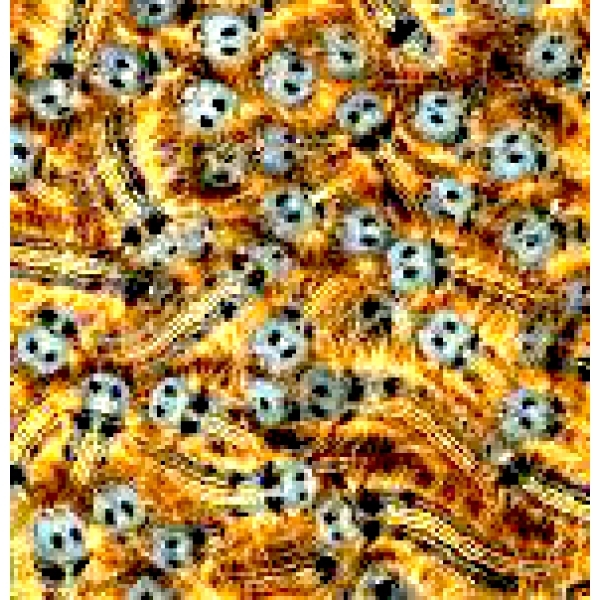 Resulting larvae are gregarious until much larger. They become amazingly beautiful, striped from head to tail with contrasting hues of orange and blue. The head is sky blue, with two prominent black spots, looking like eyes. 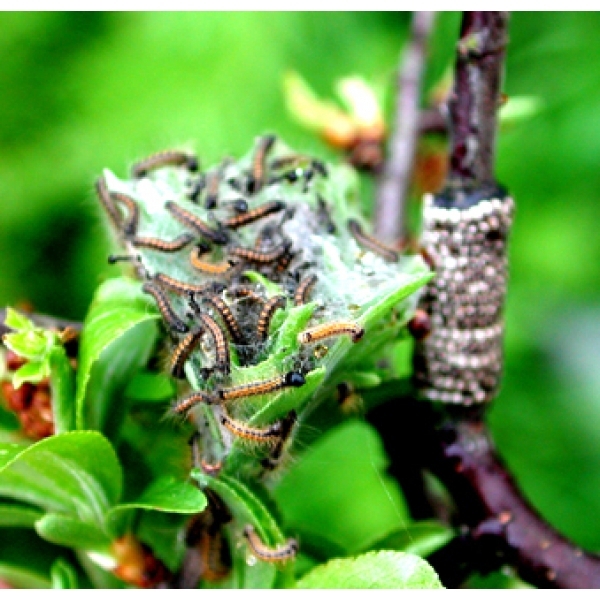 The most used foodplants are Hawthorn and Blackthorn, and the larvae also feed on Plum, Apple, Oak, Rose, Bramble, Willows and Sallows. Try them on alternatives, you may discover new foodplants. The white silken cocoons contain a curious sulphur-like powder, produced by the caterpillar as it pupates. 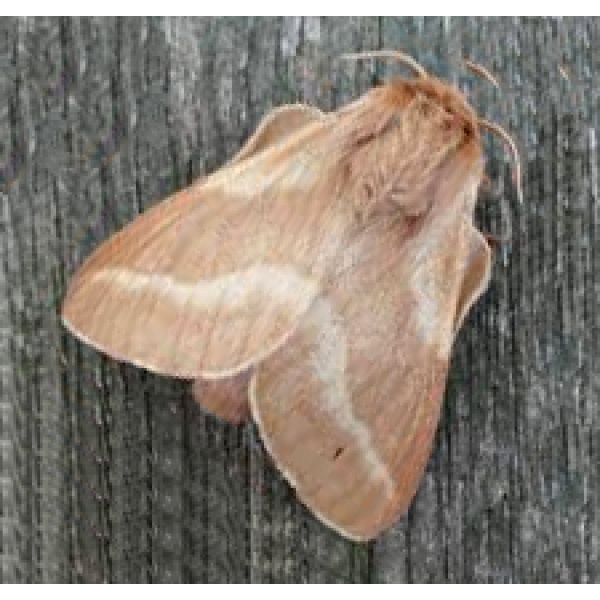 The female is a small, quite stocky Eggar Moth. Males are less heavily built and very agile. Pairing is easy. 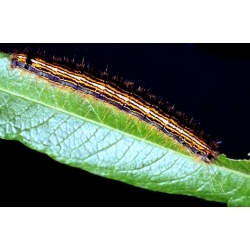 Provide thin branches for the females to lay their bands of eggs, which should be stored cold from November to April. When leaves are produced in spring, let the eggs hatch in the ambient temperature.